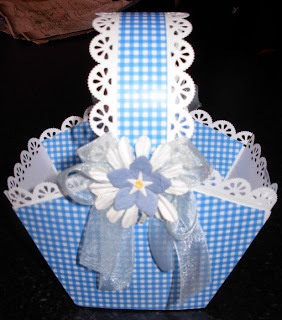 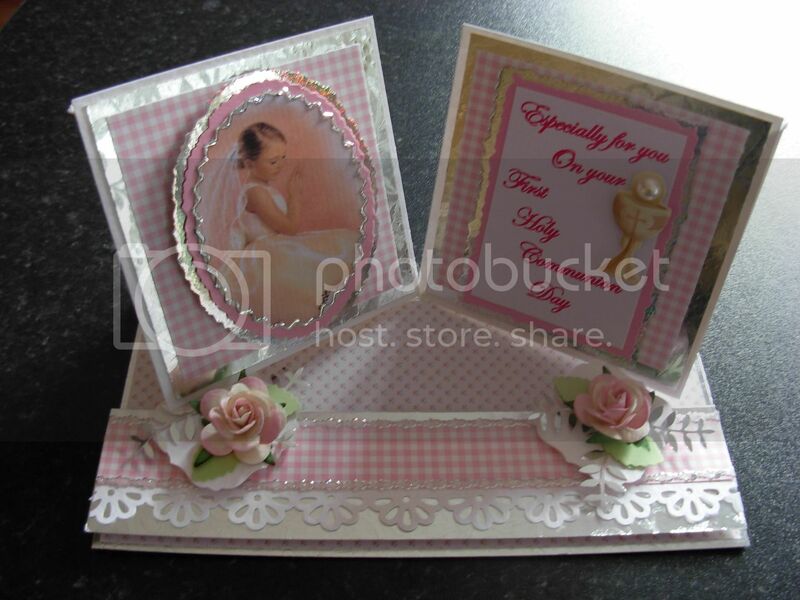 Thank you for all your emails and phone calls about this Tutorial, A lot of you want a kit, So I have decided to make a kit to bring to club night, I will do Boys and Girls, so please let me know which one you want, and the Childs name, as I will cut it on the Cricut, the boys won't have flowers, I'm not sure what embellishment I will add, but will think of something and maybe put a boys sample on this page over the next few days. 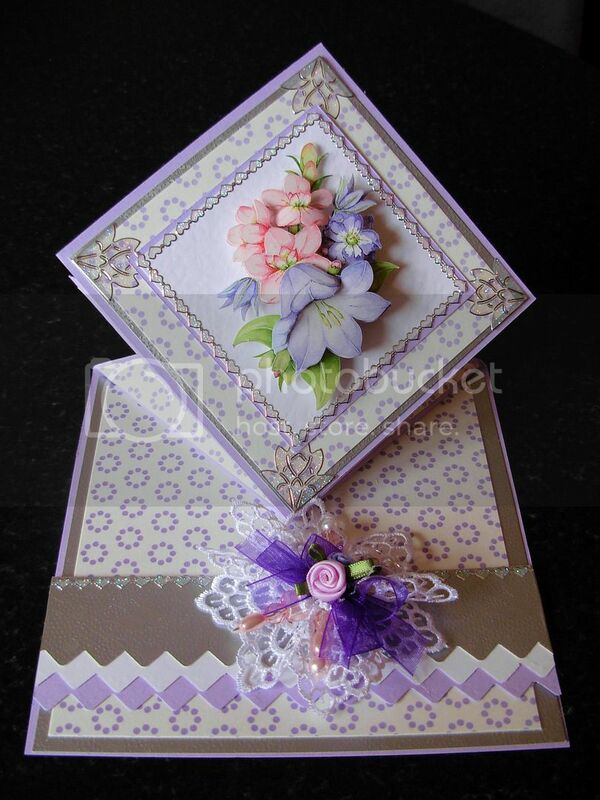 We hope to have Marina to the Club later in the year, as March we have Krafty hands and April we're all off to the Kings Hall in Belfast for the creative knit and stitch show. 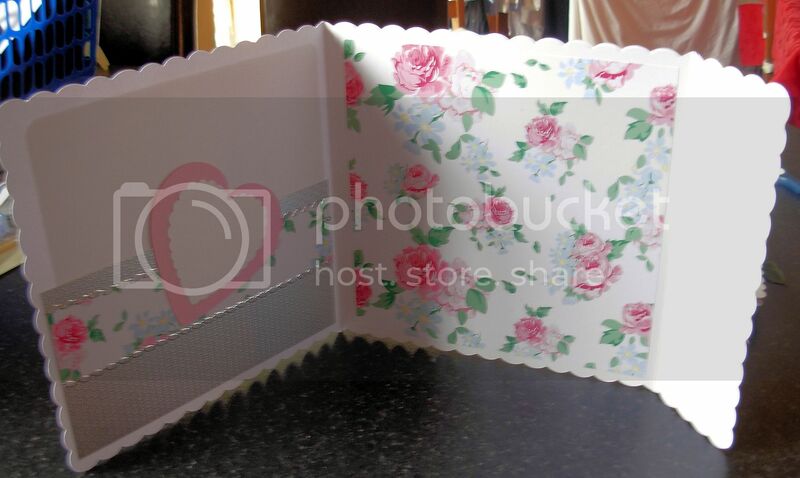 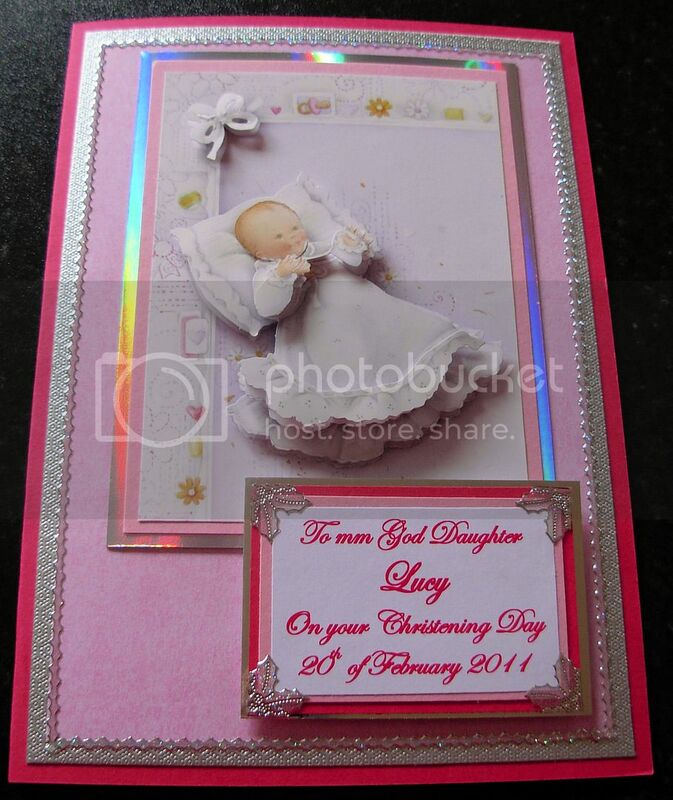 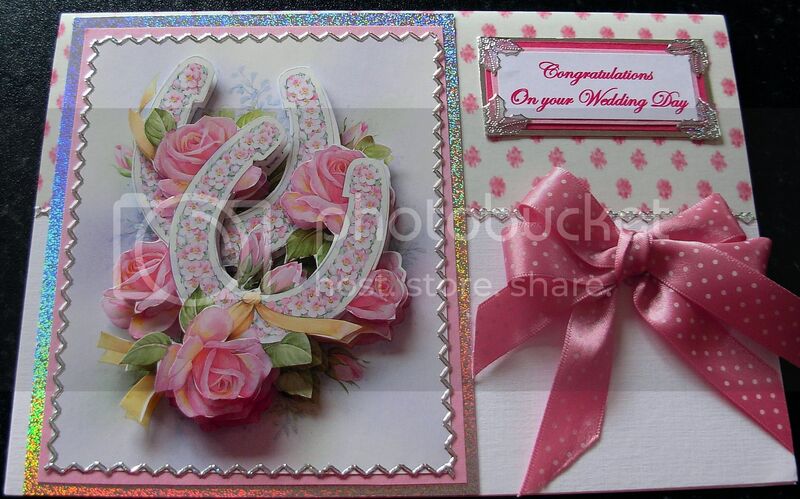 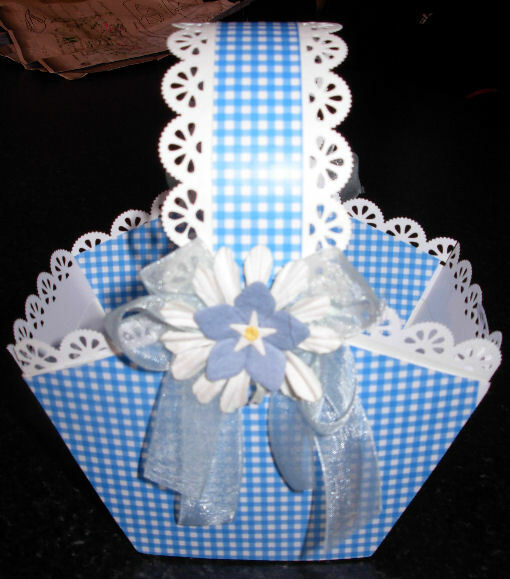 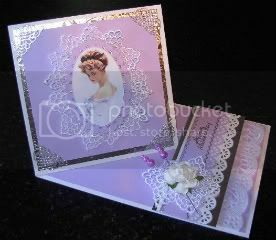 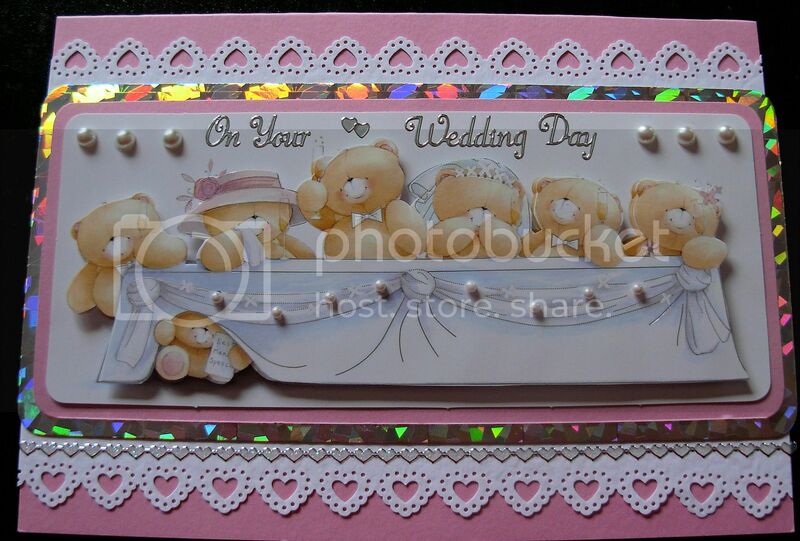 This Card is made using 5 panels, over lapping each layer. 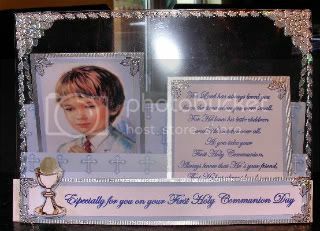 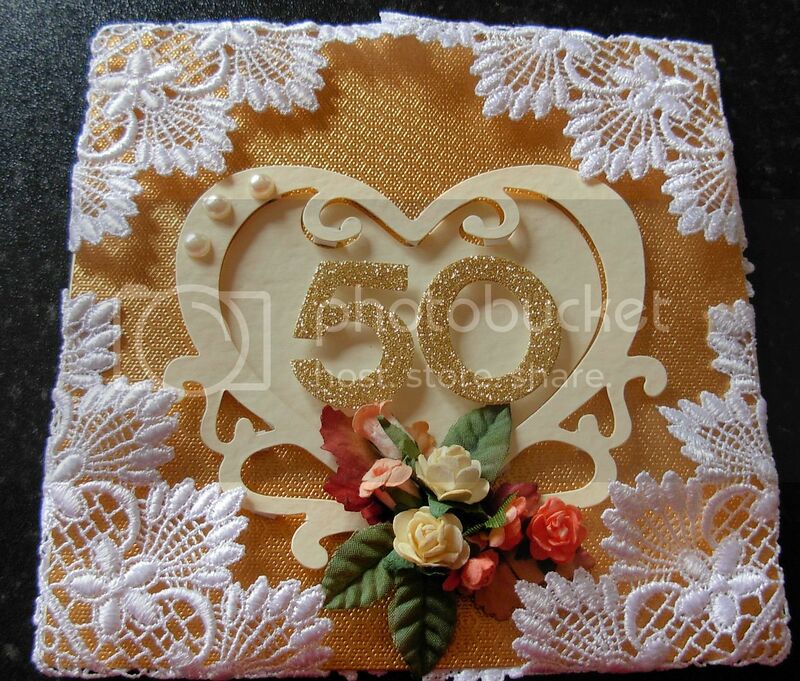 there is a satin ribbon across the middle panel, with a embroidered anglaise trim overlapping the ribbon. 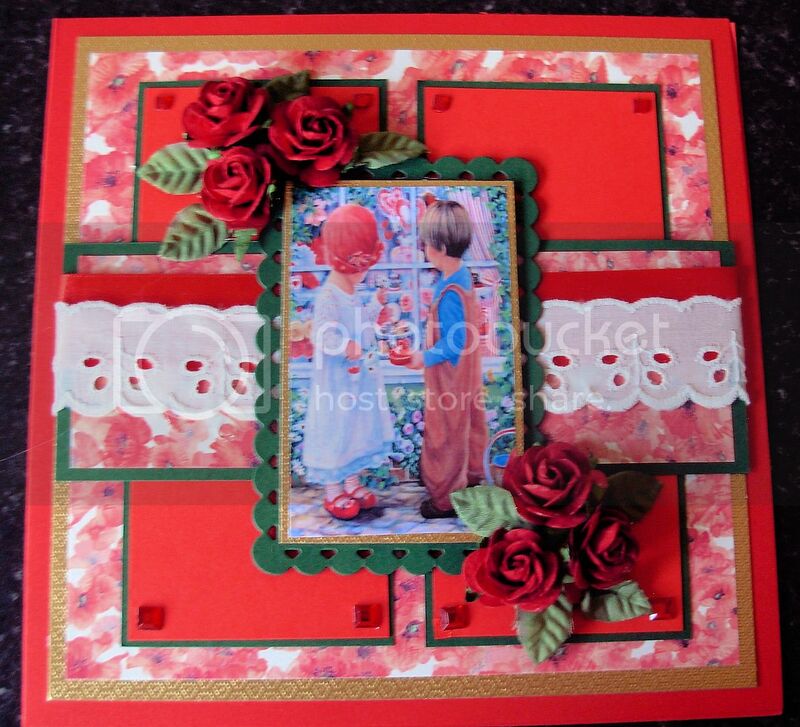 some beautiful roses where added from Wild Orchid Crafts uk. 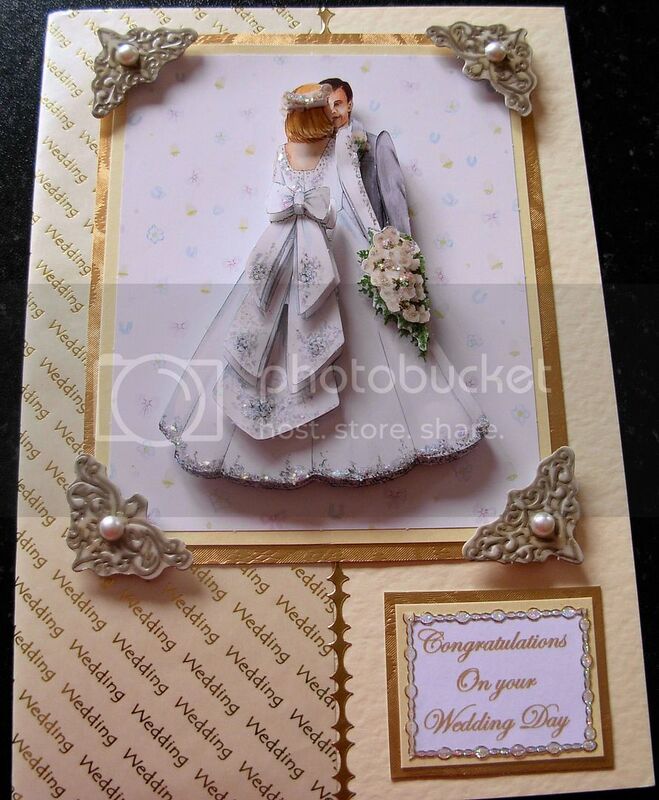 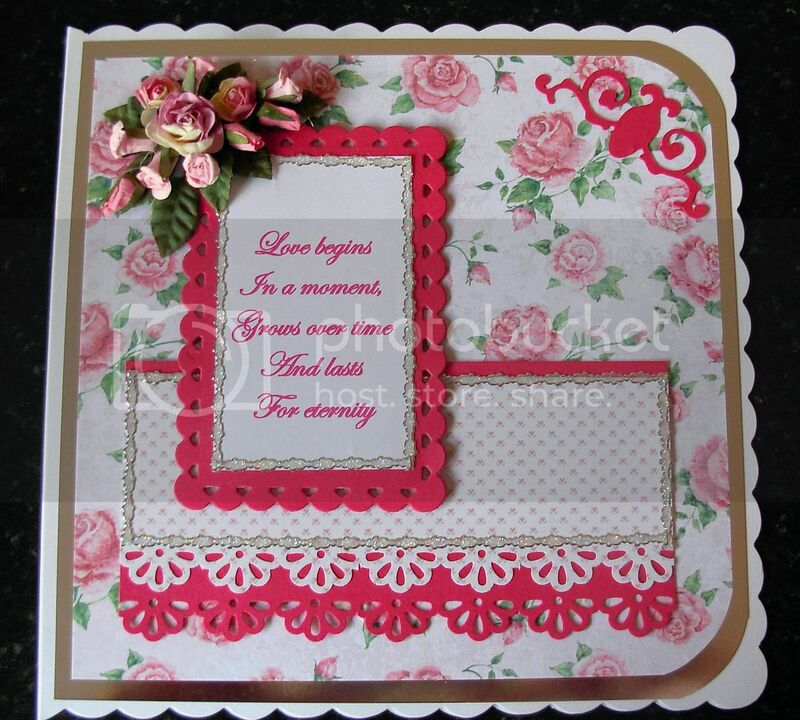 This card has a love quote, as the main topper with some punched detail panels underneath, and is finished with some tiny mulberry paper flowers. 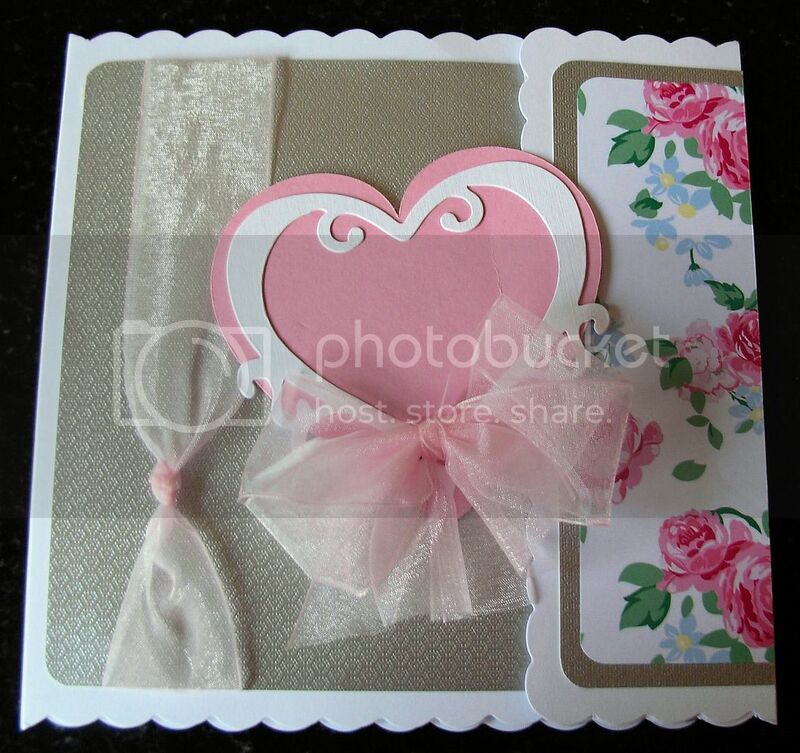 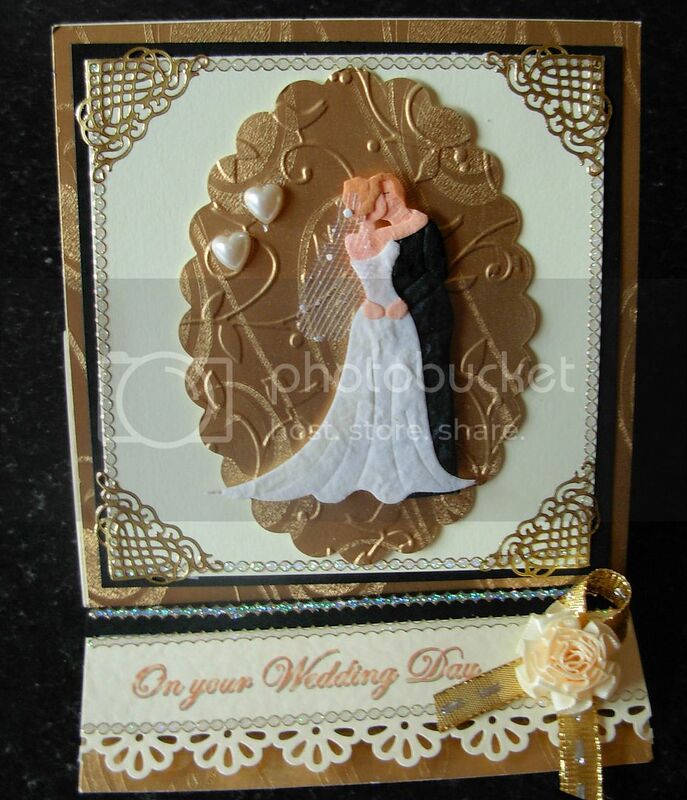 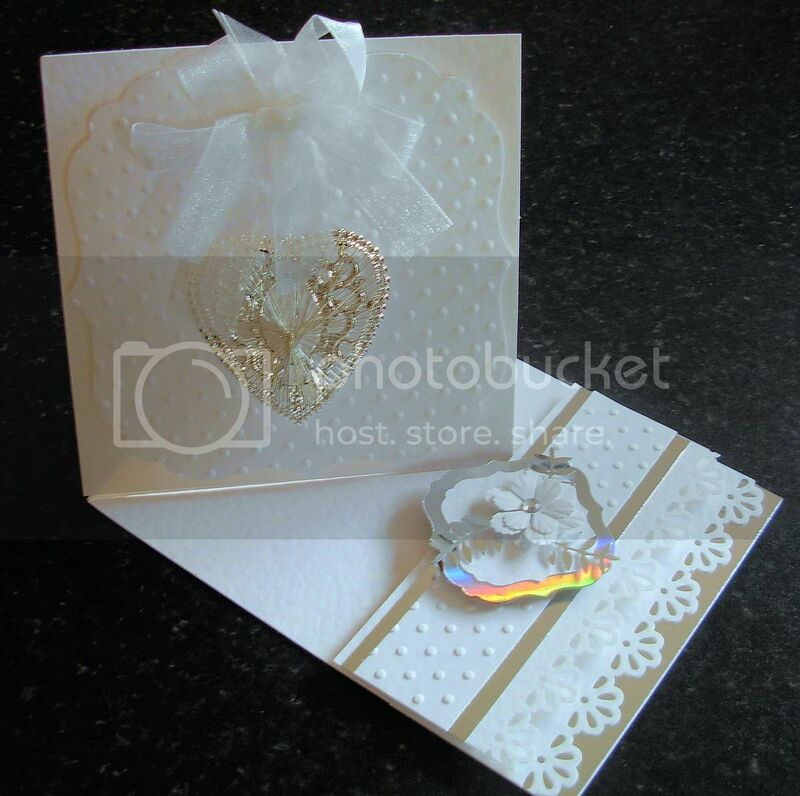 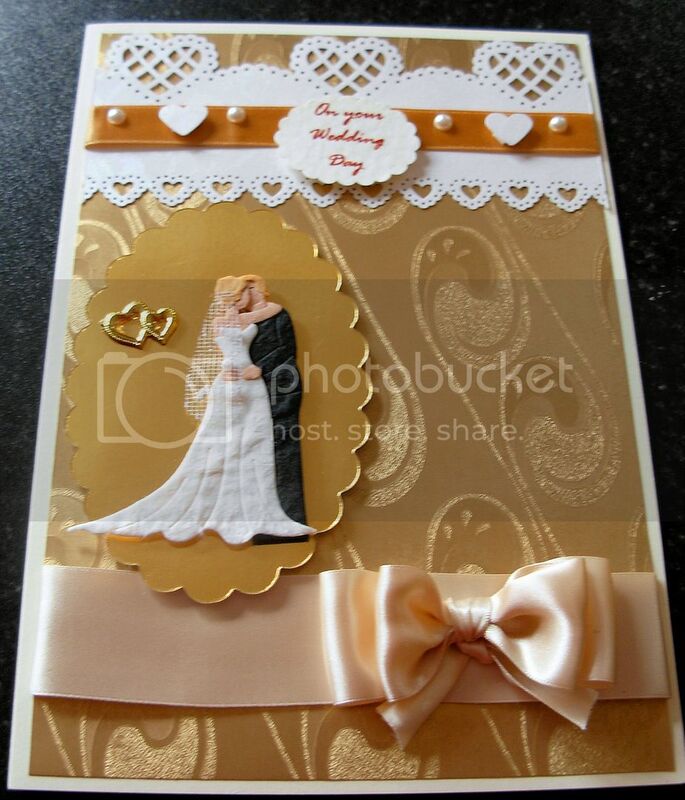 This Card folds under the heart to close, and was finished inside with a pocket to hold cash or a gift voucher.